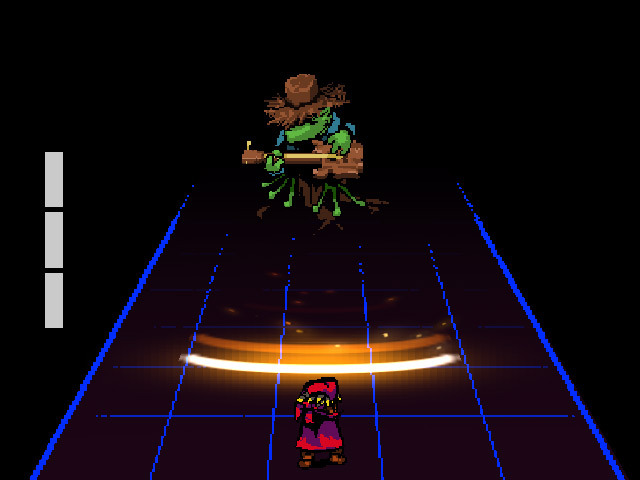 "An unusual RPG with a unique battle system." Everhood is a mystical adventure, where you play as a wooden doll who has lost its arm and you must go on a quest to retrieve your arm from a blue gnome, along the way you will meet many friends and foes and will have to go in to battle with them. 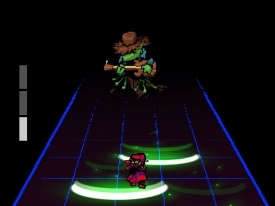 The battle system is a unique blend of guitar hero and Undertale style battles where enemies will send laser beams at you that you must either move to the right, left or jump to avoid the beams as they come at you. You get three opportunities to get hit before you get a game over, but if you survive long enough after taking a hit your health will replenish. 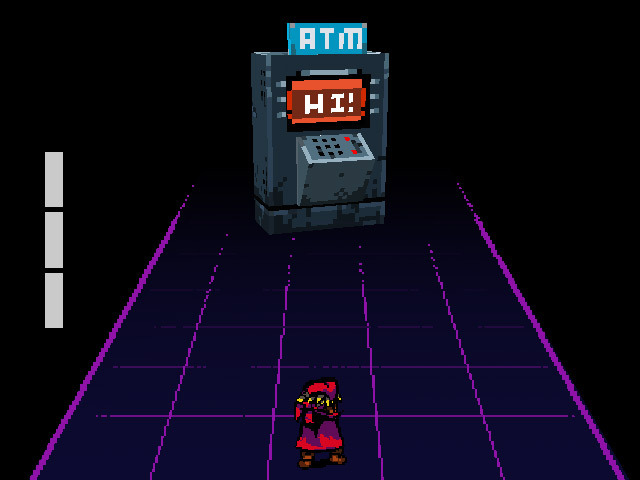 While Everhood looks quite simple it's pixel art is charming although at times the screen can look quite bare, some of the enemies you come across are very unusual and interesting such as having to do battle with an ATM machine! The battles are also accompanied by music which makes them very enjoyable especially when you get in to the rhythm of avoiding the laser beams. A unique and different RPG game, you can download Everhood here for free.